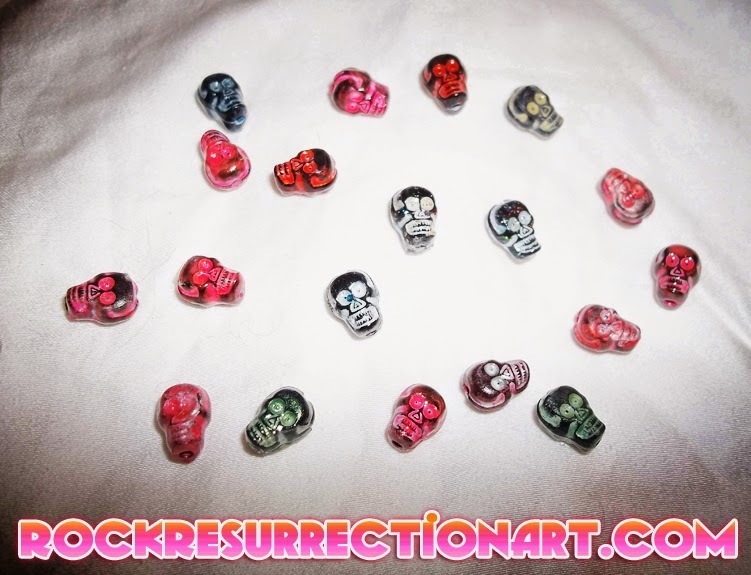 Rock Resurrection Art : NEW Skull charms! These cute new skull charms just finished drying! I did some in glitter or neon colors and played around with the hues. These are all available and can be transformed into something; like charms for earrings, a bracelet or anything really. I also have a few more charms I can paint any color you want and pair them up with a piece of custom made jewelry! ✓ If you would like something custom made with these colorful skull charms click here.